​Music City Pet Partners (MCPP) is a 501(c)(3) nonprofit organization and a Community Partner of Pet Partners®, serving Middle Tennessee and Southern Kentucky. Our Mission is to promote well-being, provide companionship, and educate our community by training and supporting volunteer therapy animal teams. Membership in MCPP is volunteer-based and open to any current or formerly registered Pet Partners® pet therapy team, any prospective pet therapy team, and anyone interested in pursuing the human/animal bond. 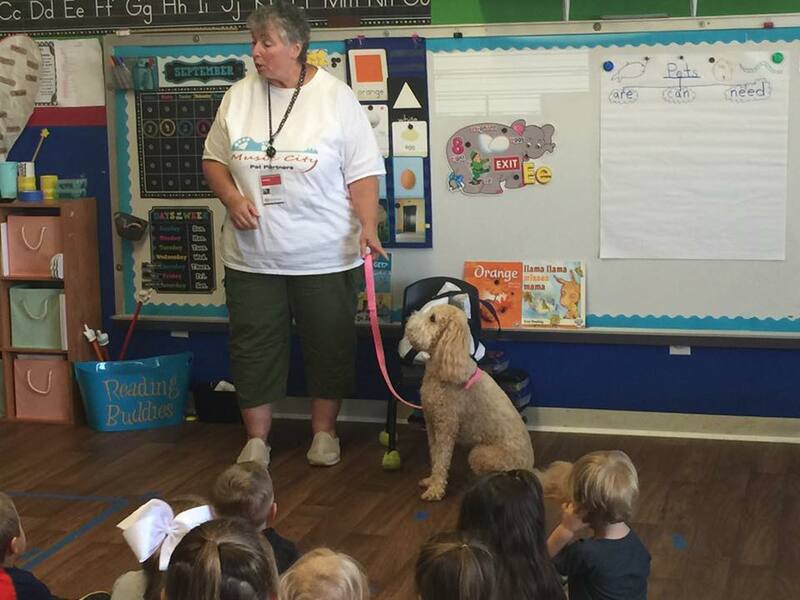 MCPP has no dues; however, members are encouraged to volunteer at Organization events such as Pet Partners® therapy animal team evaluations or other community events deemed appropriate to the mission of the Organization by the Board. CLICK HERE TO CHECK OUT OUR TEAMS IN ACTION! CLICK HERE TO MEET OUR TEAMS!